Let's be real, when it comes to haircare I am the lasiest person ever. Besides washing my hair, I rarely do anything else. I'm hopeless at using serums and masks, or even styling my hair. I just want haircare that is simple and easy and does the job. 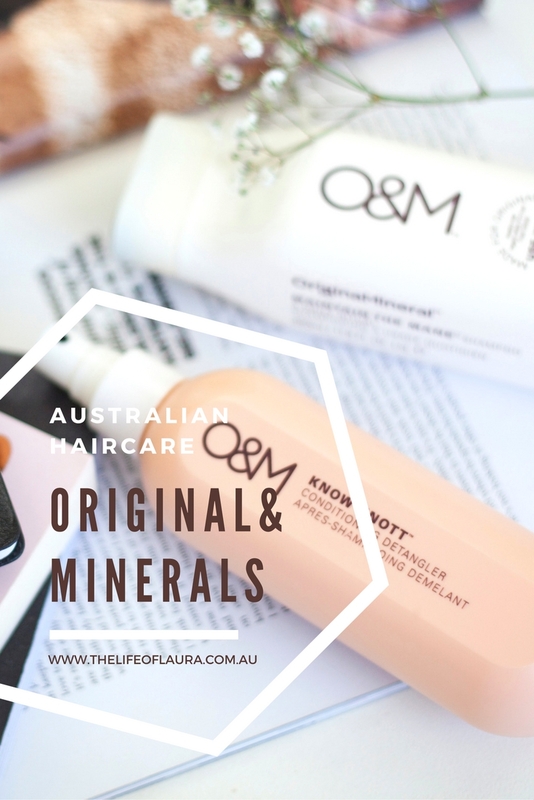 From humble Sydney beginnings, Original & Mineral has created an environmentally aware product range and natural hair colouring. 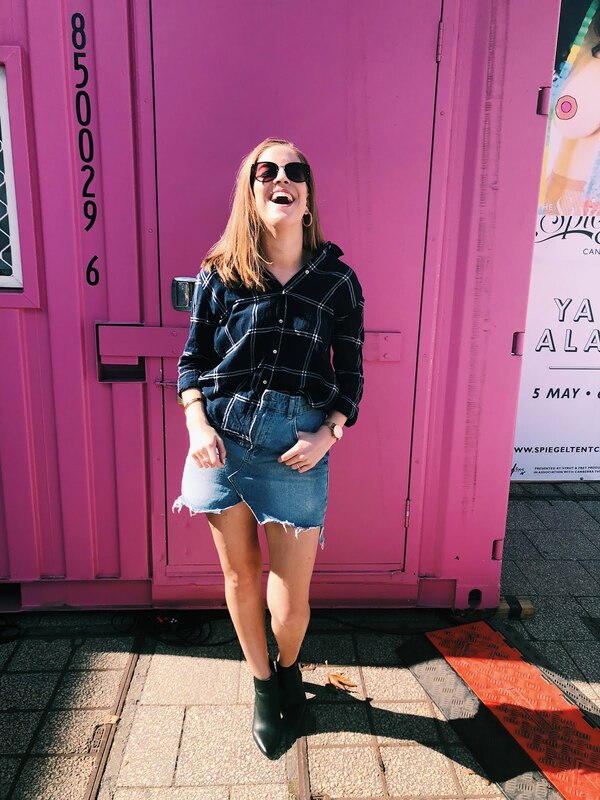 With a loyal Australian following, they have now begun to take the world by storm. 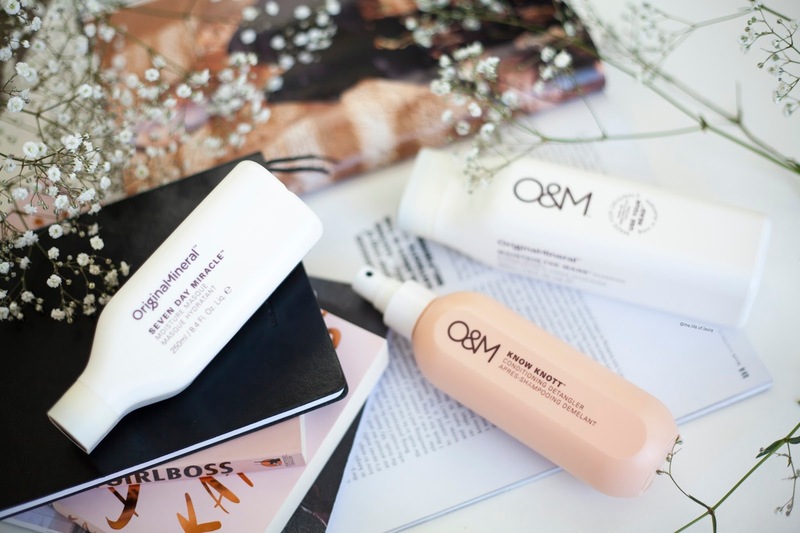 O&M claim to have created a shampoo and conditioner for every hair type. 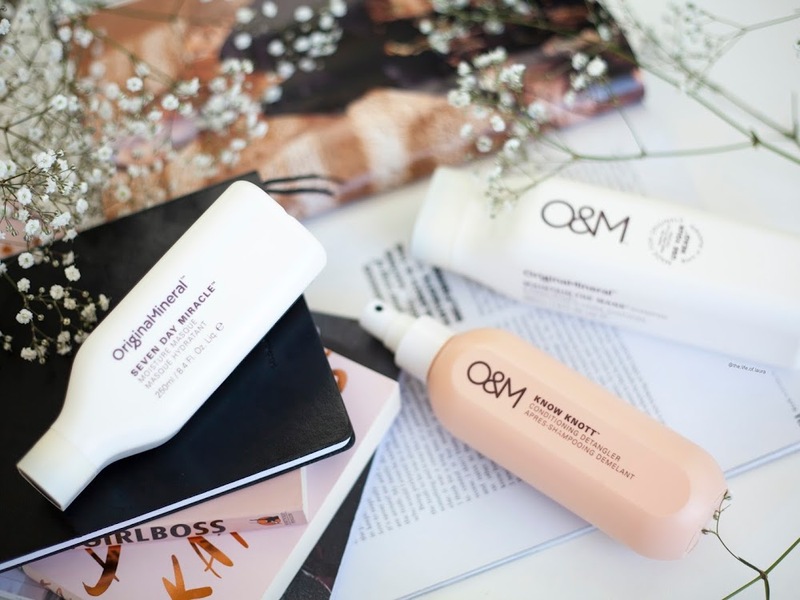 All O&M Shampoos and Conditioners are especially formulated for colored hair and are designed to guard against colour fade with inbuilt UV Protection. They are derived from beautiful ingredients found right here in Australia. These Australian native actives deliver many benefits while nourishing and protecting the hair. Each O&M Shampoo has its own graphic colored cap to help make selecting the right one simple. 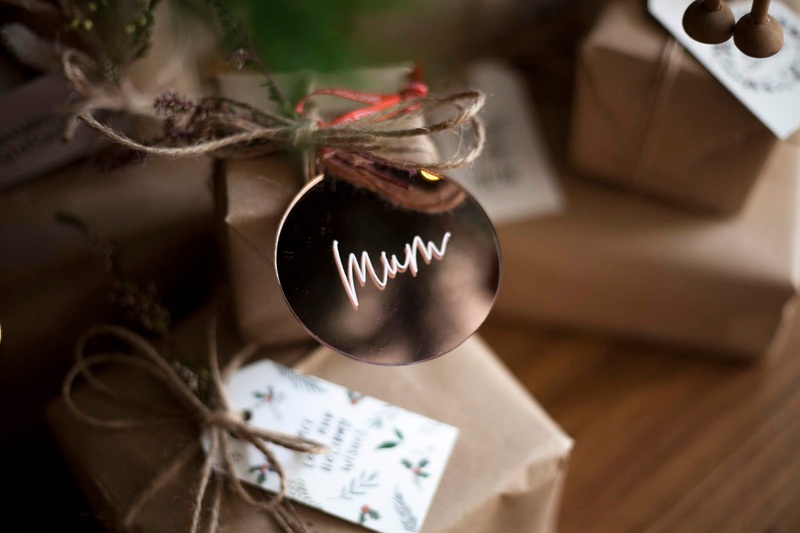 Best of all, you know what you won't find in any O&M products? Phthalates, Propylene Glycol, Sulfates, M.I.T, Parabens and Triciosan, all chemicals that can harm and damage your hair. 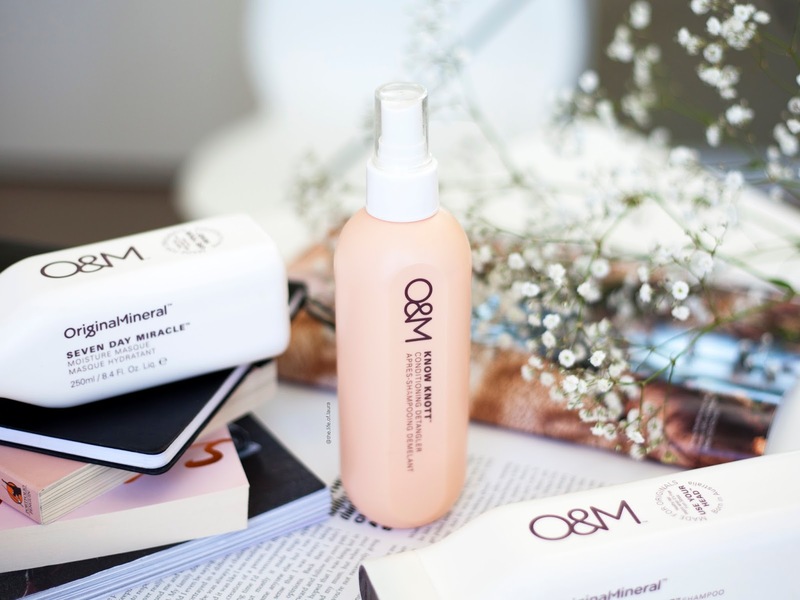 I have been using three products from the O&M haircare range for the past couple of months - Know Knott Conditioning Detangler*, Seven Day Miracle Mask* and Maintain the Mane Shampoo*. Keep your hair looking its finest. Oils of Evening Primrose and Macadamia seed combine in a mild moisturizing everyday formula that cleanses the hair and scalp. Antioxidants and amino acids in Banksia Flower protect, helping freshly washed hair stay healthy. 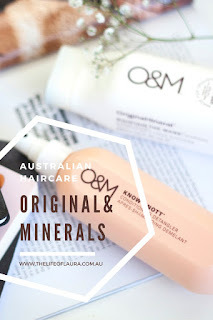 I have used mini sizes of the O&M shampoos before but was very excited to have a full size of the Maintain the Mane. This one is specifically developed for normal hair. 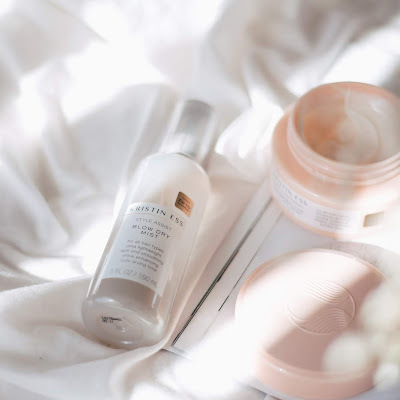 The ingredients are designed to promote a healthy scalp and offer mild cleansing properties, while conditioning and hydrating the hair to promote moisture. It claims to be the 'perfect everyday product'. All the shampoos and conditioners (and the mask which I am still to talk about) come in these interesting shaped bottles, with a squeezy cap. 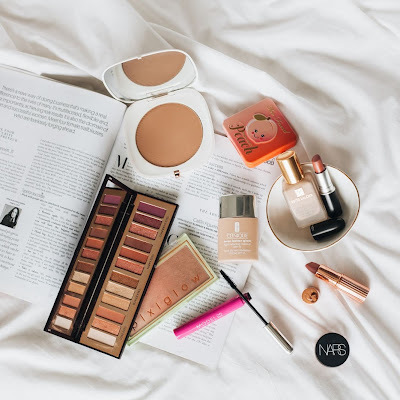 While they look gorgeous in your shower, as soon as you start getting low on product (particularly with the thicker products like conditioners and masks) they can get a bit hard to squeeze. Other then that they are cute and work well. As for the product itself, I do have to agree that it is the perfect every day shampoo. 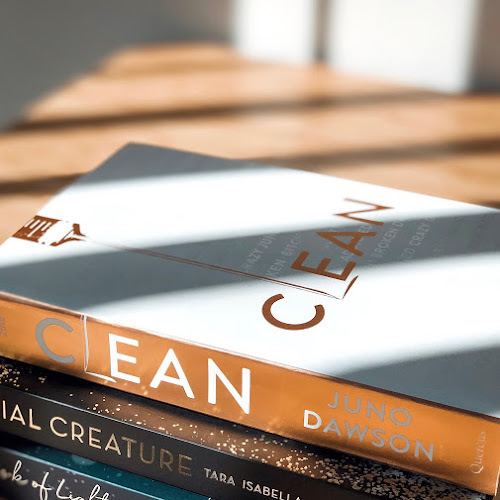 While I can't say it had features that left me blown away, it did what it said it would - cleaning my hair well, leaving it soft and hydrated. It also smells amazing. With a combination of macadamia and botanical ingredients it has a slightly sweet, nutty aroma that stays in your hair. I always get compliments on the smell of my hair after I rinse it with this. As someone with oily roots, I don't necessarily think this is the best option to maintain oil production, but for an easy, every day shampoo it has been really lovely to use. An intense moisture masque for damaged hair. Seven Day Miracle will leave all hair types deeply moved with its unique blend of Australian native oils. 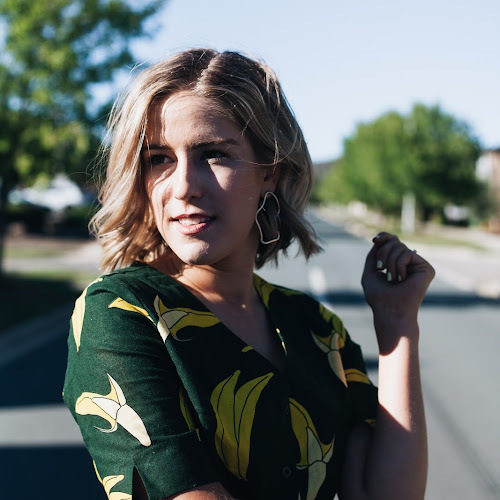 Macadamia Seed Oil and cold-pressed certified organic Australian Argan Oil boasts intense moisturizing powers to convert colored and damaged hair to divine hair. 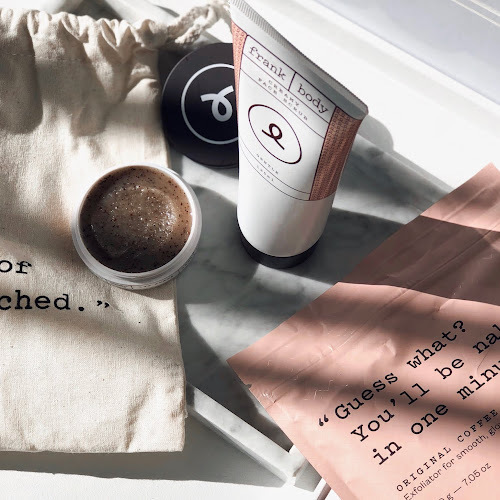 A sweet scent of Vanilla Bean takes this potent moisture masque to the next level. If there is one thing that O&M nail, it's the scents. Before I even talk about what this mask does and how I found it, I HAVE to comment on the smell. It, again, has a slightly nutty aroma with a mix of macadamia and argan oil. Then, you get a waft of vanilla and oh my is it heavenly! 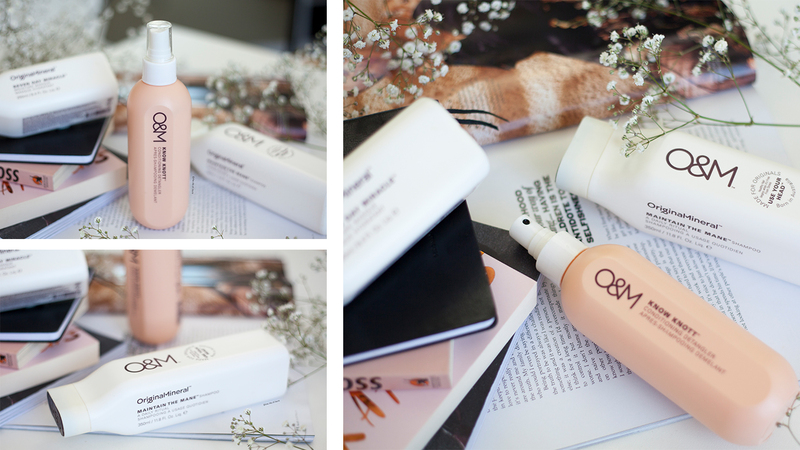 For a weekly pamper, it smells and feels luxurious! I have been leaving this mask in the shower and once a week (usually the day I need to shave my legs or do a whole body scrub), instead of conditioner, I will apply this. I take quite a large amount (50 cent coin size) as I have A LOT of hair at the moment, and apply it to my mid lengths and ends. I then turn the water off (to save on water) and shave, scrub or do something else for 3-5 minutes before rinsing out. I love how hydrated and soft it leaves my hair feeling. I do notice a significant difference between using this and just my ordinary conditioner. The days I use this my hair is just gloriously soft and shiny. Best of all I don't have to go out of my way to use it. I don't like hair masks that have to be in for 20 or 30 minutes because I typically have to shampoo my hair, then put the mask in, then come back later and wash it out. Dread nothing. Get tangle free with this perfect union of nourishing Australian natives. Cold-pressed organic Argan and Macadamia oils combine to recondition the hair leaving it glossy and knot free. Ok, so this is where you learn that I am a terrible beauty blogger. I am an upside down hair dryer, but not with my hair dryer, with a towel. I will rub my hair with my towel like crazy until it's knotty and tangled. I know, I know, you're not supposed to do that because it makes your hair frizzy or whatever, but I'm lazy! How does the detangler fit in? Well after doing this horrendous thing that we shall never speak of again, I simply spray this detangler through my hair, wait 30 seconds or so and then brush or comb my hair and the knots are so much easier to get out. If I have been out in the wind (which in Canberra is almost ever day), I can also spray a little bit of this through my hair to make it easy brush as well. I have tried a couple of different hair detanglers and can't say I have been amazed by many, but I really do enjoy this one. It smells lovely, doesn't leave my hair feeling like it has a sticky residue on it or anything, and it actually does detangle. If you have long or fine hair, I would highly recommend this one.